The Omate Truesmart, one of the newest Kickstarter smartwatch darlings to crush the $1 million in funding mark, announced some potentially painful news to backers this morning. 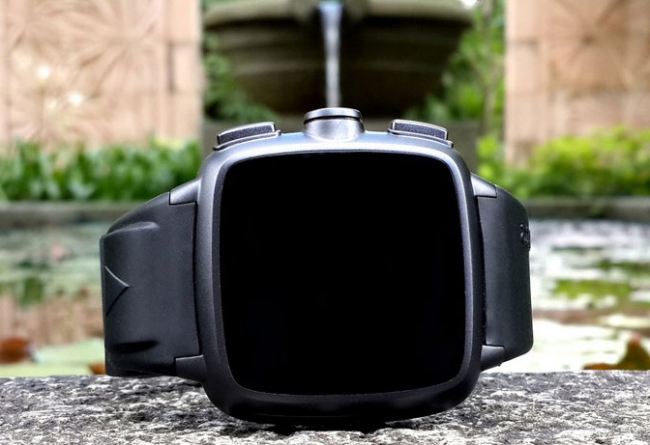 Originally announced as the “world’s first smartwatch with Google Play,” its founders have come clean in an update on the product’s Kickstarter page, saying that at this time, they do not have official Google Play support after all. Since Android doesn’t currently allow for Play store or Google Services support on devices such as a smartwatch, Omate is having to work with Google to try to get it certified. That process could be easy or it could be incredibly difficult; we don’t really know at this time. What I do know is that come launch – at least for the October developer editions – users will have to sideload .apk files to get the experience that Omate initially promised because there won’t be Google Play or Gmail or Google Maps or any other major Google app. Sideloading apps isn’t all that difficult if you know what you are doing, but it’s not exactly a great solution. And what if Google tells them, “No”? Well, Omate is going to create the OStore, their own marketplace for apps. Because that’s just what we need, another 3rd party app store to trust and potentially download from. Oh, and we would also have to hope that app developers care enough about this product to submit their apps in the first place. While the product is popular on Kickstarter with more than 4,000 backers, that’s not exactly a big number of users to a developer. To say that this news is a disappointment would be an understatement. Sure, Omate could work closely with Google and get official support for their smartwatch. But you know what, there is absolutely no guarantee that we’ll see that happen. It would certainly make sense for Google to give smartwatches the green light for Google Services, since they plan to enter the wearable market themselves, however, I’m not sure a company like Omate is going to be one to push them over the edge. Maybe that’s just me. I hope this all gets cleared up soon. We apologize for any confusion that our initial statements may have caused regarding the Official Google Play Store. TrueSmart is the first of an entire new breed of smartwatches, for you as well as for us, and as we are developing it together we are also learning. Even though Android does not currently allow for official Play Store support for Smartwatch 2.0 devices, Omate is still working closely with Google over Google Play and Google Services issues. We feel that the combined efforts of Google and Omate will allow for Google Play Store and Google Services to be on the TrueSmart and we are fully committed to get the TrueSmart certified and the needed updates released. Until that time we are working to provide you with the OStore and are also working closely with app developers to ensure apps in the OStore will provide the best experience possible. I will personally do my best with the support of the entire Omate Team to promote Omate’s vision to strategic industrial partners and with your help we will make it possible. The companion feature (Osmart) is just one of the limitless applications we can implement into the TrueSmart. We will announce great app partnerships when we will start shipping the Developer Edition end of October. In videos and pictures from various developer events we’ve been attending, we have shown Google Play and Google Services are working properly on the TrueSmart engineering samples. However we have to respect Google’s certification process in order to get official access to their services so we must confirm the TrueSmart Developer Edition will not ship with Google Play preloaded on it. If you have pledged the Developer Edition, we consider that you are a Developer (that makes sense to us) and thus you know how to install any Android APK. We rely on you – Developers – to test your existing applications and even create new ones dedicated to this new fantastic Android based wearable platform that the TrueSmart represents. We attended our first Hackaton as a supportive startup this weekend at AngelHack HK. The feedback from backers and developers have been nothing but positive; over the course of our Kickstarter campaign we have changed our specs based on your feedback, your voice counts and we carefully listen our community. As a result we have designed the world’s first software running on top of Android dedicated to wearable devices (Omate User Interface a.k.a OUI). We have set a reference design of the world’s first Android smartwatch 2.0 running on MediaTek MT6572. Something to be very proud of, and cherish. We are dedicated to ship the TrueSmart on time, on specs and on quality. We still have many challenges to face but we are on track according to our planning even though some features and aspects are not directly linked to Omate’s final decision. The road to success is a bumpy one, especially when making industry-changing products. I’d like to thank you for your support and commitment to TrueSmart.